Found 2 file extension associations related to Grapher and 2 file formats developed specifically for use with Grapher. Grapher is a graphing package designed for use by scientists, engineers, and business professionals. If you need to make graphs quickly and easily, Grapher is meant for you! From your data file, use Grapher to create 40 different 2D and 3D graph types. Grapher gives you full-control over all graphing parameters. Easily produce publication-quality graphs by customizing any feature of any graph! Add legends, titles, and an unlimited number of plots to any graph! Customize the final product with drawn items such as text, lines, polygons, rectangles, spline lines and spline polygons. Link text to a worksheet for added convenience! Use the Script Recorder feature to record the steps to create a graph! 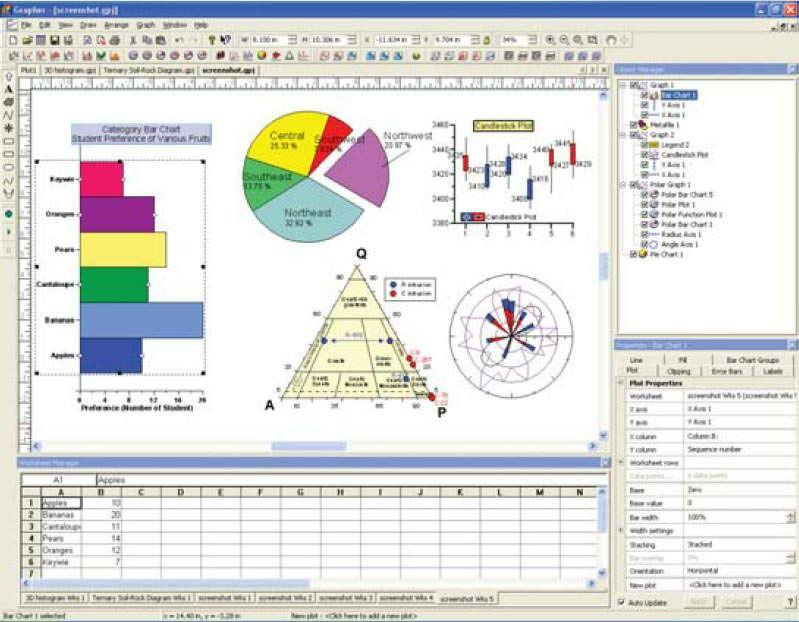 Export to a variety of formats to include your graphs directly in your presentations or documents! If you need more information please contact the developers of Grapher (Golden Software, Inc.), or check out their product website.